“48 pages of Audio Component Reviews” proudly proclaims the skyline on the cover of the March Stereophile, hitting newsstands, mailboxes, and tablets this week. 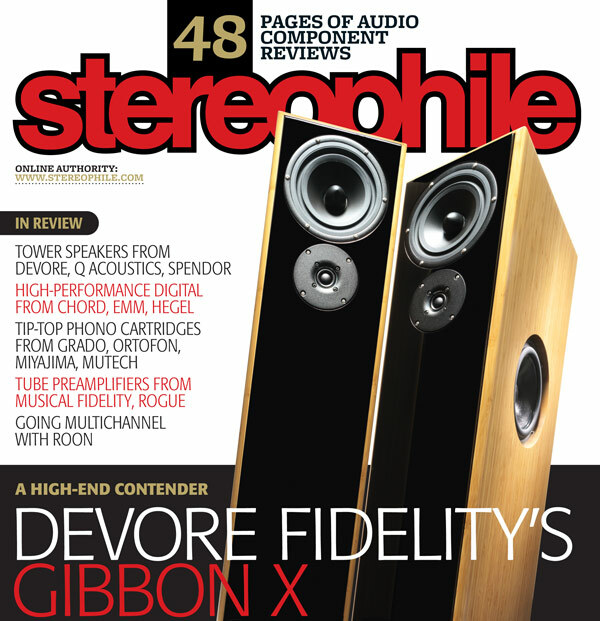 DeVore Fidelity’s Gibbon X graces the cover and is reviewed in depth inside by Jim Austin. DeVore’s flagship speaker heads an impressive list of gear evaluated inside, from Shure, Spendor, Q Acoustics, KEF, Musical Fidelity, Rogue, Chord, Hegel, EMM Labs, Grandinote, Grado, Ortofon, Miyajima, Mutech, and Roon. To kick things off, Jason Victor Serinus examines the state of audio shows in North America and Ken Micallef wraps the issue up with a review of classic and ground-breaking John Coltrane recordings from 1963. 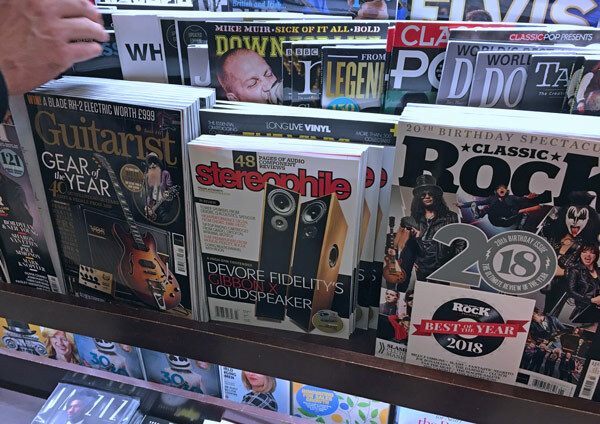 And with high-end newsstands fewer on the ground these days, you can always find Stereophile at Barnes & Noble.